Selling your property is one of the most stressful processes you can go through, with the potential to encounter numerous problems along the way being extremely high. 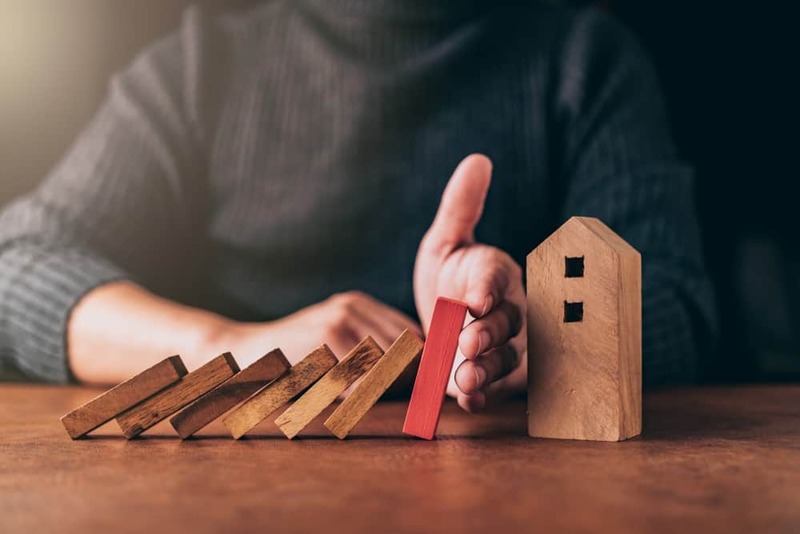 It’s important to make sure you’re aware of the potential pitfalls you could face when buying and selling a property. This blog looks at the common issues when selling with an estate agent, mortgage lender, property surveyor, homeowner and buyer, as well as what options you have when your house won’t sell. The cost: One problem with using an estate agent is the size of the bill. Most traditional high-street estate agents are commission based, meaning they charge a percentage of the final sale price in fees. This commission can vary from as little as 1% to 3.5% and will increase or decrease with the price of the property. You decide not to sell: If you decide you no longer want to sell your property, you may still have to pay to cover any costs the estate agent has already incurred. It’s important to check that your estate agent’s bill provides a clear breakdown of the costs, including the commission fee, advertising and VAT. Inadequate communication: Traditional estate agents act as a proxy between the interested buyer and property vendor, meaning that you rely on them to convey your messages quickly and concisely. However, estate agents are notorious for their poor communication, often taking days (or even weeks) to respond to urgent queries. You want to use an additional estate agent: If you have been using one estate agent, you may have signed a ‘sole agency’ agreement. This agreement means that you agree to sell exclusively through that agent for a fixed period, usually four months. If you use an additional estate agent before the period of sole agency ends, you may have to pay commission to both the new and original agent regardless of which one finds the buyer. You have found your own buyer: You are entitled to sell to a buyer who has not been found by the estate agent. However, you may still have to pay the estate agent’s fees, the cost of which will depend on your contract. Unsatisfactory service: You may not be satisfied with the level of service your estate agent is providing. Whether the advertising is not what you wanted, you feel the estate agent is discriminating against you, they don’t make time for viewings or the property details they are sending to buyers are inaccurate, the estate agent has a contractual obligation to help sell your property and you don’t have to put up with subpar service. If you experience any of these problems with your estate agent, you should write to them formally to ask for an explanation. If you’re unhappy with their response, refer the matter to The Property Ombudsman, Ombudsman Services or The Property Redress Scheme. If you are selling your property, a potential buyer will usually instruct a chartered surveyor or valuer to inspect the property. You will have to give the surveyor access to value the property in order to facilitate the sale. If you are a buyer, you may have decided not to instruct a property survey and instead relied on the valuation report requested by your mortgage lender. This means that the valuer can be held liable if you buy the property on the basis of their report and then find issues once you move in. This is because the surveyor owes you a duty of care as you are applying for a mortgage. For the valuer to be liable, you must be able to prove that the surveyor employed by the valuer has been careless in his inspection of the property. As a buyer, you may have instructed your own property survey and then found problems with the property after you bought it. You may be entitled to compensation from the surveyor for the difference in value between the property in good condition and in bad condition. If you want to claim damages, you should write to your surveyor stating why you feel they are responsible for the money you have lost. If your surveyor won’t agree to your claim and you feel they are being unreasonable, you can complain to the Royal Institution of Chartered Surveyors. You may also be able to complain to the Ombudsman Services, but this must be done after you’ve complained to the surveyor’s firm and given them a chance to resolve the issue. As a buyer, you may be experiencing difficulty getting a mortgage. Different lenders have different rules and regulations when deciding how eligible you are for a mortgage, including checking whether you could still afford to make mortgage repayments if your income falls or interest rates increase. The lender may also decide that the property is worth less than the amount you’ve agreed to pay. This means that the mortgage lender will not lend as much money as you had requested prior to the valuation and you may have to attempt to negotiate a lower price with the seller. If the seller will not lower the price, you may have to borrow the extra money from elsewhere or consider whether a different lender would give the house a higher valuation. One of the most common problems of selling through a mortgage lender is the time it takes for a buyer to get a mortgage offer. Until the mortgage offer is made, contracts cannot be exchanged and there will be a significant delay in completing the sale. If there is a delay in getting a mortgage, you can apply for a bridging loan to cover the costs of your new home in the meantime. However, this loan is usually only available for a fixed period and the interest is significantly higher than the rates normally charged on mortgages. The main issue homeowners can run into when selling their home is that buyers can withdraw their offer at any time before exchange of contracts. Before contracts are exchanged, the buyer has no legal obligation to purchase your home and does not have to pay for any of the costs that you may have incurred up to this point. The buyer may also decide to reduce the offer they have made for the property. Reducing an offer just before contracts are exchanged is called Gazundering and although it is legal, it is generally considered bad practice. It is up to you as the seller to decide whether or not you will accept this lower offer. One of the biggest problems when buying property is that the seller can accept a higher offer from another buyer before exchange of contracts. This is called Gazumping and is an ongoing problem for property buyers in the UK. The homeowner can also withdraw their property from the market at any time, as well as withdrawing the acceptance of your offer if they accept a higher offer or decide not to sell their property. The seller can also accept more than one offer and instruct their solicitor to send draft contracts to more than one potential buyer. This introduces a contract race, meaning whoever manages to exchange contracts first will secure the property. There is nothing you as the buyer can do except withdraw if you want to avoid the costs of getting the contract completed quickly. A buyer or seller may find that they have problems because they are involved in a property chain. This is when a series of house transactions are linked and reliant on the preceding and succeeding purchases. If you are a seller and want to avoid a house chain, you could look for an alternative buyer for your property or make an arrangement with a property buying company to sell your house fast. Give your buyers a good first impression: If your property has had multiple viewings but no offers, it’s likely there is a problem with the way it’s being presented. Consider giving the walls a fresh coat of paint, de-weeding the garden and replacing the worn countertops in the kitchen. Take new photos for the online listing: Nowadays, most buyers get their first impression of a property online. Photographs play a significant role in attracting potential buyers so it’s important to ensure that the online listing depicts your property in a positive light. To make the most of your photos, make sure that the rooms are brightly lit and decluttered. Take into account the property market: It’s important to take into account the speed of your local property market when deciding to list your house. Trying to sell in a slow market could result in your property being listed for months without a viewing. It might be worth taking your property off the market for a while so that buyers can’t be put off by how long it has been listed. If you want to ensure a fast house sale, you may want to consider selling your home through a regulated property buying company like Good Move. Our team of surveying professionals will buy your property in cash for up to 85% of the market value, aiming to complete a sale in as little as ten days. If you’d like to sell your property quickly, contact our experienced team at Good Move today for a free cash offer.